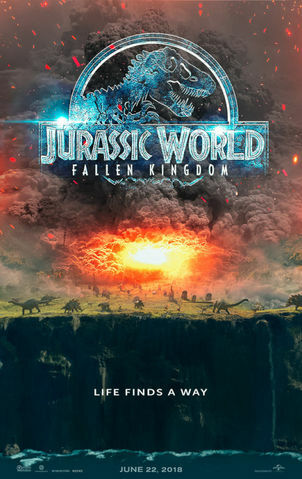 I loved  2015’s Jurassic World, the reboot of the Jurassic Park “franchise” starring Chris Pratt and Bryce Dallas Howard, directed by Colin Trevorrow, and co-authored by Trevorrow and Derek Connolly. Jurassic World blew away the Jurassic Park films. It is highly entertaining and also surprisingly wholesome. 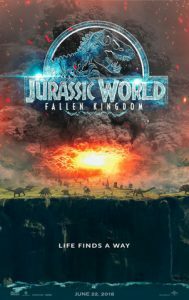 Along with the main attractions, the dinosaurs, Jurassic World is pro-masculine, anti-feminist, and pro-family, with an overwhelmingly white cast and virtually no political correctness. White audiences loved it since it was not calculated to offend them — and everyone else loved it too. It as close to a perfect movie as one can expect from Hollywood, and a very tough act to follow. But a movie that popular was bound to have a sequel.